Hunters Estate Agents and Letting Agents Tottenham are on track to becoming the Premier Estate Agents in the area! If you're looking to buy, sell or let in the highly competitive housing market in Tottenham and need a dedicated local expert, highly trained with experience and knowledge of the region. This is our trademark at Hunters Tottenham and our way of offering value above and beyond that of internet agents that may never have set foot in North London! Buy, sell & let in Tottenham. Compared to other agents we secure higher sale prices and have fewer deals fall through. Get the process started with a free, no obligation valuation. If you're looking to buy or let in the area we can find the ideal property for your needs & budget. From first homes for young couples to larger dwellings for families and rental properties for students: we're here to get you there. Hunters Estate Agents and Letting Agents Tottenham is one of Tottenham’s leading agents dealing in sales, lettings, property management, block management and property consultancy with over 45 years of combined property experience. 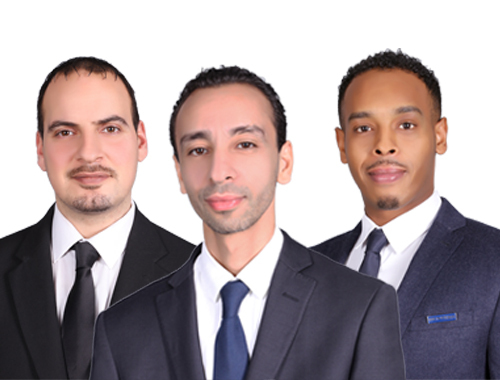 The team is born, bred, live and now works in Tottenham with a passion for its growth and social development. Our main areas are Tottenham, Bellway, Hale Village, Tottenham Station, South Tottenham (postcodes N15, N17, N22 and N8) selling a large mix of 1930s and period properties. We also work extensively in N17, so if you’re looking for a Hale Village Rentals, Lettings or Hale Village Sales agent Hunters are the people to get in touch with! Our team know the area well and are qualified experts in matching the perfect properties with the perfect people—it’s what we do. If you’re a buy to let landlord – or looking to become one – we can manage letting your properties so you don’t have to be so hands-on. With our years of experience, we can help the whole process of letting your properties out run much more smoothly. In addition to personal, residential lettings management we also offer block management services, meaning we can take a hands-on approach to running your apartment block or flats so that you don't need to worry about the day to day issues involved. We take care of service charge collection, property maintenance, ground rent collection and all the other important tasks you don't have time for. Contact us on 0208 261 7570 for more information. Mustafa, Michael and Briam are a great team who helped me secure accommodation. All gents are very professional, knowledgeable and above all else very friendly! Would highly recommend! VAT Reg No: 255 9446 70 | Registered No: 10411714 | Registered Office: 439 High Street North, Manor Park, London, E12 6TJ. A Hunters franchise owned and operated under licence by Alexander Williams Ltd.
Mustafa received the All Agents’ Gold People Award as the Best Overall Agent in 2015 for Customer Experience. 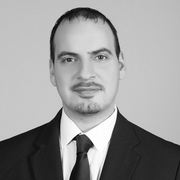 Starting his career as an Estate Agent in 1999, Mustafa then joined a local family run estate agent in Tottenham in 2001. In summer 2011 he managed the transition of rebranding the private agent as part of the biggest franchising group in the Country. 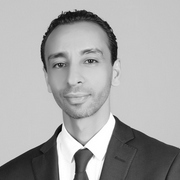 Mustafa wants to remove the stress of selling your home and wants customers to have a positive experience. He will always keep you updated as well as being helpful. Mustafa enjoys going to the gym, travelling and relaxes by going fishing. Just don’t remind him of the story about how big the last fish he caught. Michaels started in business in operations management and then later managing the family property lettings business. Michael also has good experience in renovations and portfolio asset revenue growth. The directors have developed the company with Michael and he maintains joint responsibility for the running of the company as well as overseeing Hunters’ Lettings department. Michael is very personable, he always wants to achieve the best possible outcome for our clients as his dedication and commitment to them always shows. Although born and bred in Tottenham, Michael is a lifelong supporter of Arsenal, despite this he is proud of his roots. 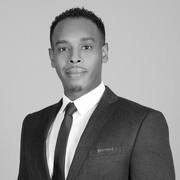 Briam started in the property industry by managing a large lettings portfolio for a private landlord in Islington and West London in 2005. He then moved into sales and finally to block management where he offers specialism. He is member of the Institute Residential Property Management, an Associate of the Institute of Leadership Management and he is setting his finals as an Associate of Royal Institute of Chartered Surveyors. Briam’s objective is to exceed customer expectations and responding quickly and efficiently to communication by making sure all customers enjoy their experience with Hunters. Briam enjoys abstract art, theatre and live shows and photography. If you want to get to sleep quickly then ask him to describe the latest play he has seen. Tottenham’s renaissance has been driven by investment in education, sports and economic growth. This has enabled a resurgence in its commitment to the arts and culture within the community. The area is known for its cohesion and has a unique vibe, spirit and culture which have been the inspirations and origins of artists such as Wretch 32, Skepta and Adele. Tottenham is not only the oldest neighbourhood in Haringey but also the home of a world famous premiership football club, who are currently building their 61,000 seater stadium. Tottenham is home to young professional people, wanting to take advantage of the direct and quick commute into central London. Tottenham has excellent transport links to the City and West End as well as the Stansted Express to London Stansted Airport. Tottenham has great award winning parks, museums, cafés and a significant number of strongly built Victorian houses as well as iconic modern developments such as Hale Village. Tottenham’s true community feel attracts a cross-section of persons including; educators, creative artists, lawyers and city bankers. All of this makes Tottenham a great place to live with something for everyone.